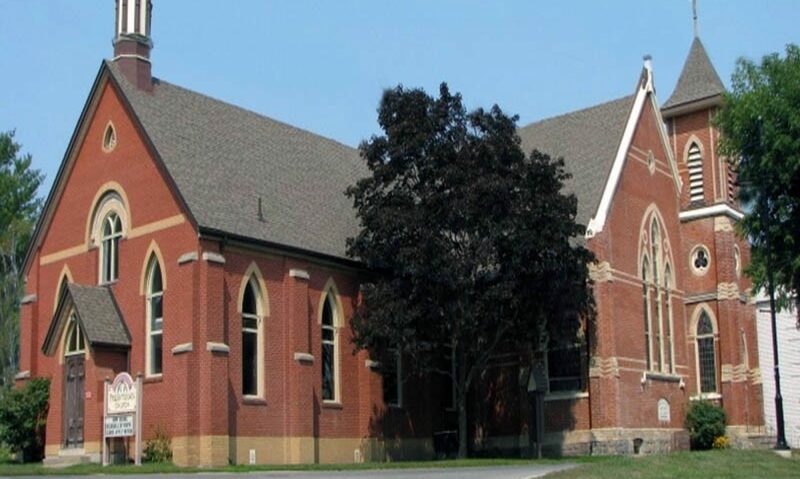 St. Andrew’s – Chalmers is an amalgamation of two congregations, over 175 years of service in the Uxbridge area and the selfless devoting and dedication of hundreds of men and women in the community during those years. In the early nineteenth century, settlers moved into the Uxbridge area, coming east from the Newmarket region. Known as the ‘Society of Friends’ and commonly called Quakers, they set up residence on the rising ground just west of Uxbridge. The area became known as Quaker Hill. In the 1830’s, Scottish and Irish immigrants moved into the area and, following their religious bent, established a Presbyterian congregation with the name St. Andrew’s, Quaker Hill, an affiliate of the church of Scotland. Some years later, following the ‘Disruption of 1843’ in that church, a group from St. Andrew’s organized a Presbyterian Church in Canada. A distinguishing feature of a congregation in the Presbyterian Church in Canada was the right to choose one’s minister. The St. Andrew’s, Quaker Hill and Chalmers, Uxbridge congregations began a connection in 1921 with the advent of a dual ministry. This ministry would be in place until 1962 when, due to a declining congregation and financial difficulties, St. Andrew’s made a decision for closure. Amalgamation with Chalmers was completed and the new combined congregation began under the name of St. Andrew’s – Chalmers, Uxbridge. In those 175+ years, there have been many people in St. Andrew’s – Chalmers who have worked and planned for the future. This is no less true today as we begin our journey into the third millennium and work to ensure a continued life and service in the years to come.